Here’s a collection of my raw vegan recipes, please use the buttons below to filter between categories. I know you will love it this tapas recipe! Not only is it super easy to make, it also doesn’t require fancy equipment and tastes wonderful! Learn how to make raw strawberry and blueberry jam without adding gelatin, agar agar or Irish moss! Most natural jam you could possibly make! Want a fun side dish or filling? Try this raw parsnip rice recipe that will have your guests guessing what its made of. Delicious, healthy and satisfying. Great recipe for when you're feeling like you need something warm. This raw vegan pumpkin soup tastes just like the cooked version and is very easy to make! A simple, yet delicious recipe for a raw blueberry and banana smoothie with vegan almond milk. If you like spicy food, then this is a recipe for you! You can use this raw vegan sambal on absolutely anything and it will add a delicious kick to your meals! Very easy to make cupcakes and requires no dehydration. Perfect for a healthy Valentines day treat for your loved one. 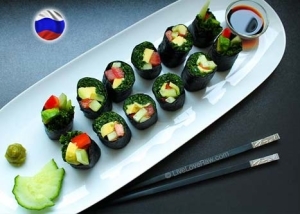 This is an incredibly easy recipe to prepare, which is perfect for newbies to raw food. This can be used as a starter, as a side dish, or even as a main meal. Learn how to make a raw vegan buckwheat granola, with lots of yummy nuts, dried fruit and super-foods if you wish. Fantastic alternative to regular cereal! A quick and easy recipe for a raw vegan fruit breakfast puree, full of healthy super foods. How to make a salad from winter root vegetables that you had no idea what to do with before. Very easy and tasty. 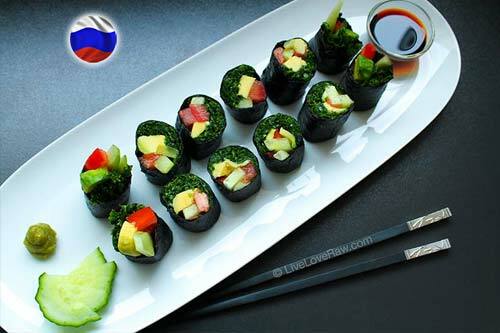 Learn how to make easy raw vegan sushi from kale (or spinach) and other common vegetables. Great for a quick snack when you don't have much in the fridge. Don't want to give up your muesli in the morning? You don't have to! Just make it vegan by adding almond or cashew milk instead of regular milk! It takes less than a minute to make and tastes incredible. A delicious raw vegan fruit puree that is wonderful as a breakfast dish. It's easy to make and is very filling and the great thing is, you can customise it however you want!